Climate data obtained from global climate models (GCMs) form the basis of most studies of regional climate change and its impacts. Using the northeastern U.S. as a test case, we develop a framework to systematically sub-select reliable models for use in climate change studies in the region. Model performance over the historical period is evaluated first for a wide variety of standard and process metrics including large-scale atmospheric circulation features that drive regional climate variability. The inclusion of process-based metrics allows identification of credible models in capturing key processes relevant for the climate of the northeastern U.S. Model performance is then used in conjunction with the assessment of redundancy in model projections, especially in summer precipitation, to eliminate models that have better performing counterparts. Finally, we retain some mixed-performing models to maintain the range of climate model uncertainty, required by the fact that model biases are not strongly related to their respective projections. This framework leads to the retention of 16 of 36 CMIP5 GCMs that (a) have a satisfactory historical performance for a variety of metrics and (b) provide diverse climate projections consistent with uncertainties in the multi-model ensemble (MME). Overall, the models show significant variations in their performance across metrics and seasons with none emerging as the best model in all metrics. The retained set reduces the number of models by more than one half, easing the computational burden of using the entire CMIP5 MME, while still maintaining a wide range of projections for risk assessment. The retention of some mixed-performing models to maintain ensemble uncertainty suggests a potential to narrow the ranges in temperature and precipitation. 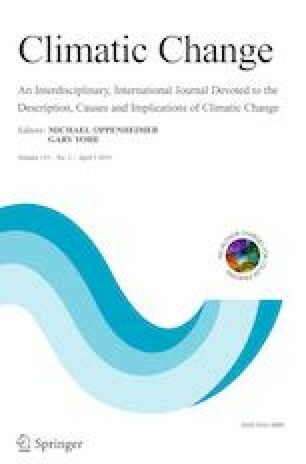 But any further refinement should be based on a more detailed analysis of models in capturing regional climate variability and extremes to avoid providing overconfident projections. The online version of this article ( https://doi.org/10.1007/s10584-019-02411-y) contains supplementary material, which is available to authorized users. We acknowledge the WCRP Working Group on Coupled Modelling, and thank the climate modeling centers for producing and making available model output. We thank the three anonymous reviewers for their careful review and insightful comments that have helped improve the manuscript substantially. This research was supported by the U.S. DOI’s Northeast Climate Adaptation Science Center by Grant or Cooperative Agreement No. G12AC00001 from the United States Geological Survey (USGS) and in part by NSF CAREER Award No. 1056216. Its contents are solely the responsibility of the authors.